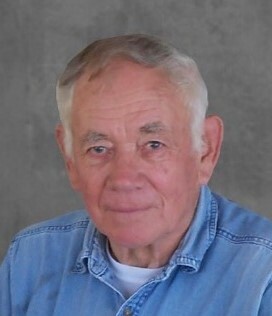 Patrick “Pat” R. Walker, 86, of Quincy, passed away on Sunday, March 31, 2019 in Blessing Hospital. Born April 27, 1932, in Petersburg, Nebraska, Patrick was the son of the late Valentine O. and Katherine Esau Walker. He married Ruth Marie Smith on August 17, 1963, in Galesburg, Illinois. She preceded him in death on October 7, 2011. Mr. Walker was a veteran of the Korean War where he proudly served his country in the U.S. Air Force from 1952-1956. He worked for 28 years at Gardner Denver as a welding foreman and was a member of the Quarter Century Club. Patrick later worked for over 25 years at Fierge Auto Parts as an auto mechanic until his retirement. As an outdoor enthusiast, Patrick enjoyed hunting, fishing, working in the yard and tending to his garden. In his spare time, he would read, attend gun shows, and tinker on anything needing repair. He most enjoyed spending time with his dog Scooter. He is survived by his son Jeffrey Walker (Jennifer) of Quincy, daughter Karen Tipton of Quincy; his children from a previous marriage include Michael Walker (Deb) of Quincy, Linda Walker of Quincy, Nancy Oulton (Ron) of Colorado Springs, CO, Katherine Resendez (Ed Holzgrafe) of Quincy, Susie Cullen (Michael) of Florence, SC, Kevin Walker of Columbus, IL, and Elvin Walker (Linda) of Quincy; his grandchildren Delaney Walker, Mallory Walker, Daniel Werneth (Tabitha), Nicole Albright (Cory), Gregory Oulton (Crystal), Evan Oulton (Kallie), Josh Resendez (Kayla), Danielle Jacobs (Nick), Eddie Holzgrafe, Michelle Gibson (Ervin), Stephen Cullen (Katie), Andrea Walker, Jeremy Walker (Amanda), Eric Walker (Cassie); several great-grandchildren, including Maxwell Albright and Meredith Albright. He is also survived by his brother Victor “Jim” Walker (Sue) of Colorado Springs, CO and two sisters-in-law, Barbara Walker and Jean Walker; and numerous nieces, nephews and extended family and dear friends. In addition to his wife, Ruth, and his parents, Patrick was preceded in death by three brothers, Donald Walker, John Walker and Arthur Walker; and five sisters, Lucille Rudman, Madeline Blackwell, Marjorie McGinness, Bernice Barr, and Genevieve Scarlett. Funeral services will be held Saturday morning at 11:00 a.m. in the Zehender Robinson Stormer Cookson Funeral Home with Pastor Carol Stufflebeam officiating. Burial with Military Honors by the Quincy American Legion Post 37 and Scott Air Force Base Funeral Honors Detail will be in Greenmount Cemetery. Visitation will be Saturday morning from 9:30 a.m. until the time of services at the funeral home. Memorial donations in his name may be made to: WGEM – Great River Honor Flight, 513 Hampshire, Quincy, IL 62301.